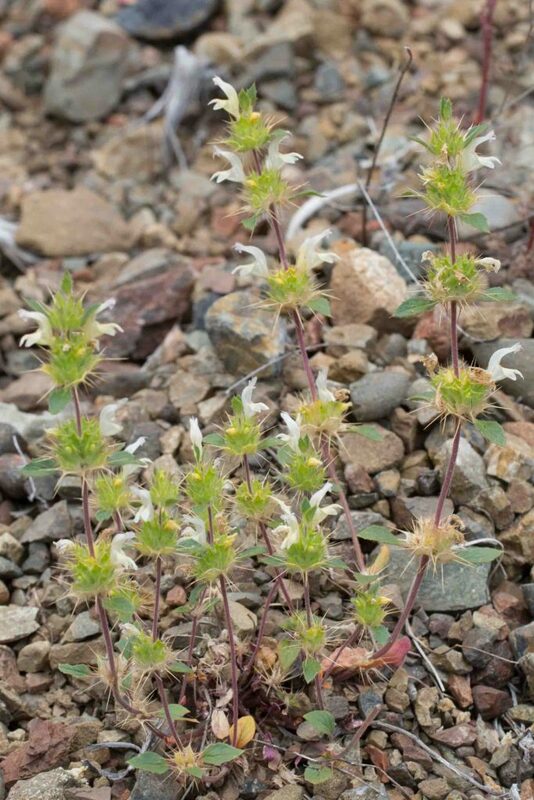 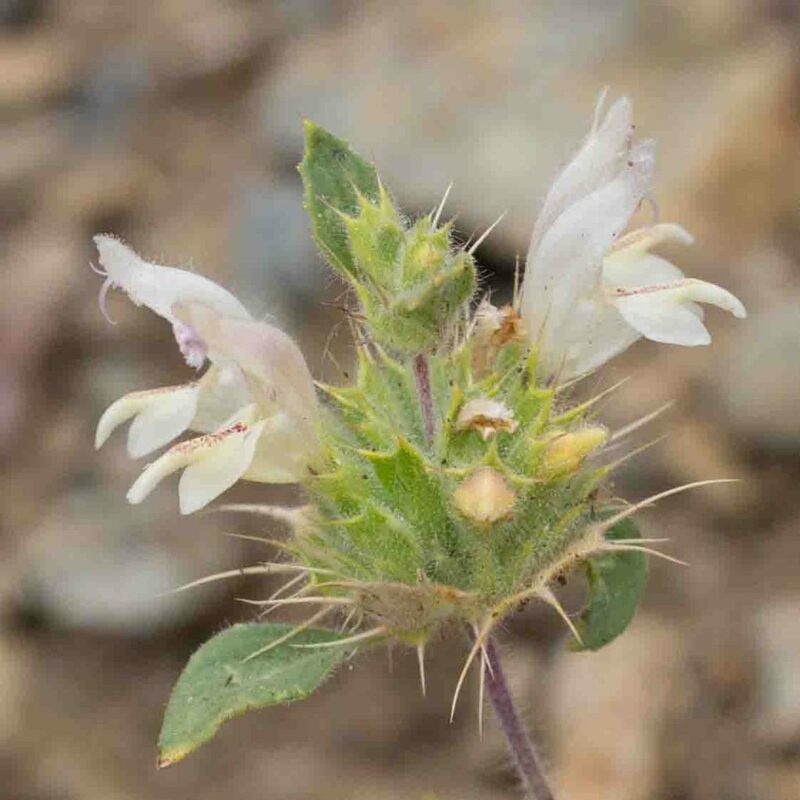 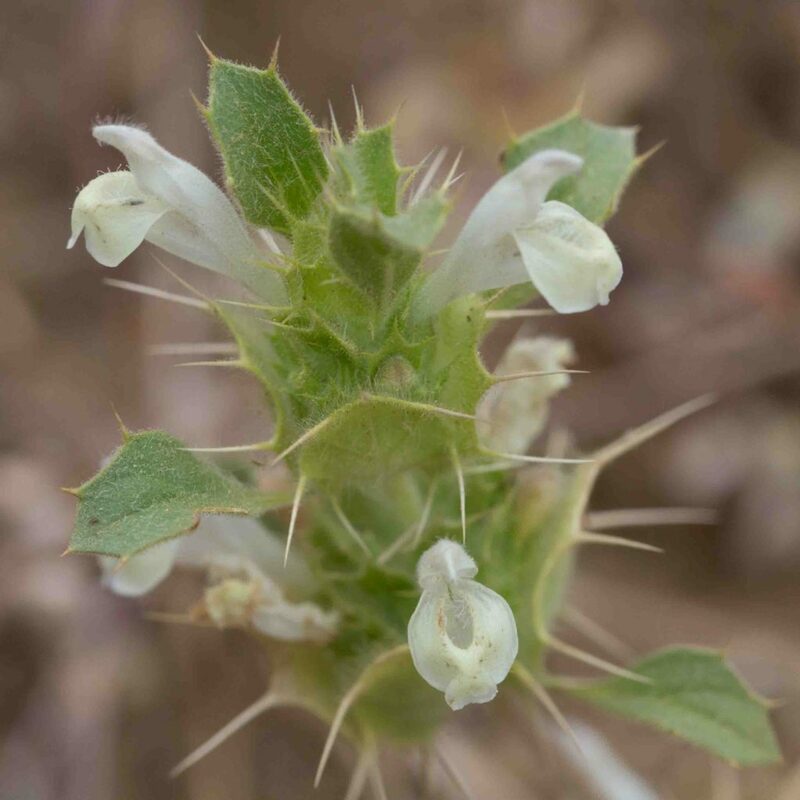 This and San Benito Thornmint (Acanthomintha obovata) and both found on dry slopes in the south and southeast of the county. 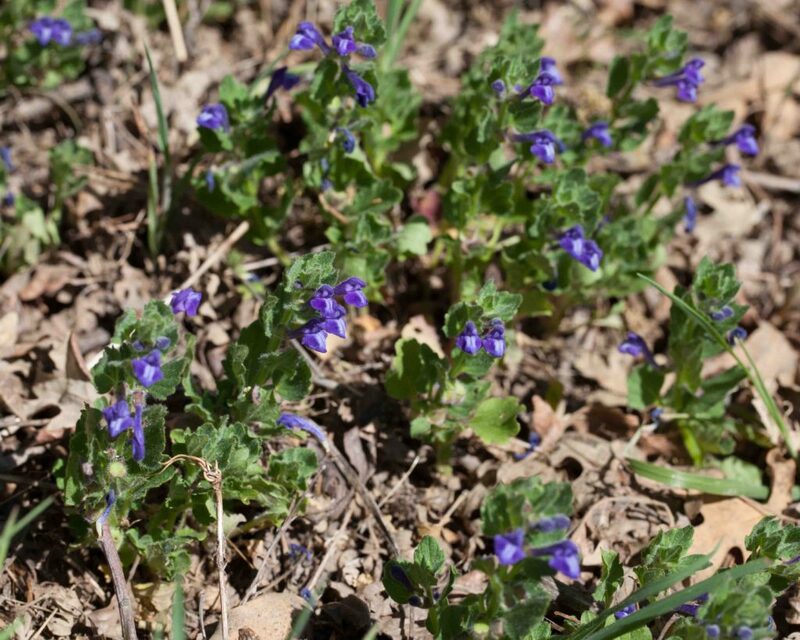 Both are small, erect plants with distinctive spiny bracts and characteristic mint family hooded flowers. 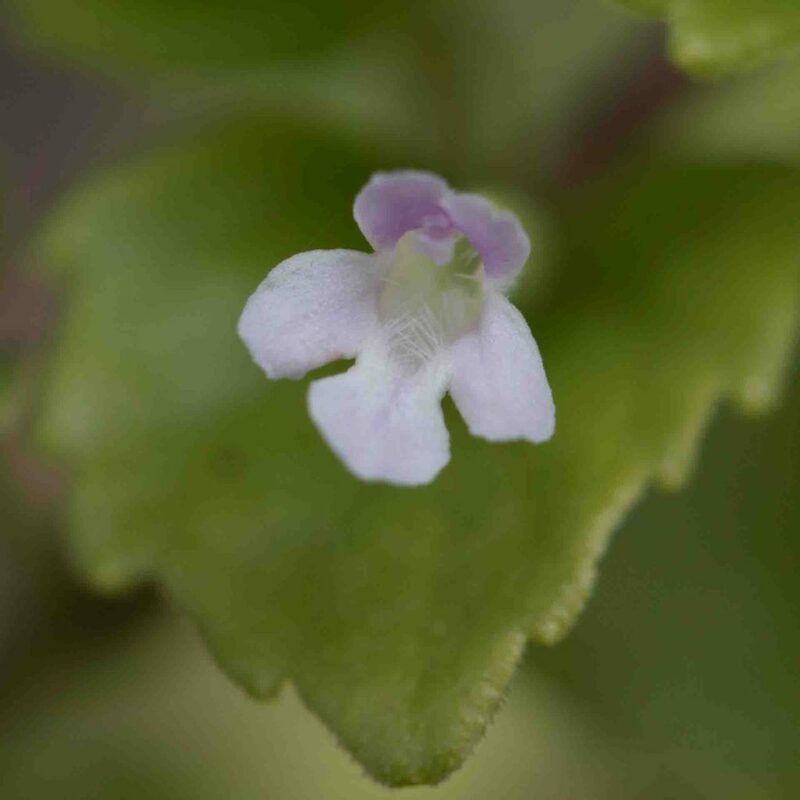 In this species, the upper lip is hooded and about as long as the lower lip. 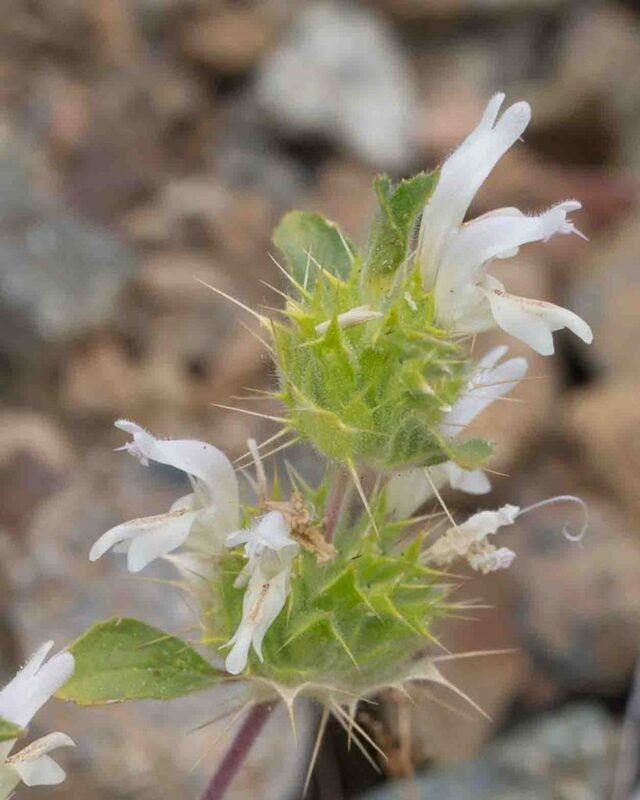 Anthers are glabrous and the style is hairy (the reverse of San Benito Thornmint). 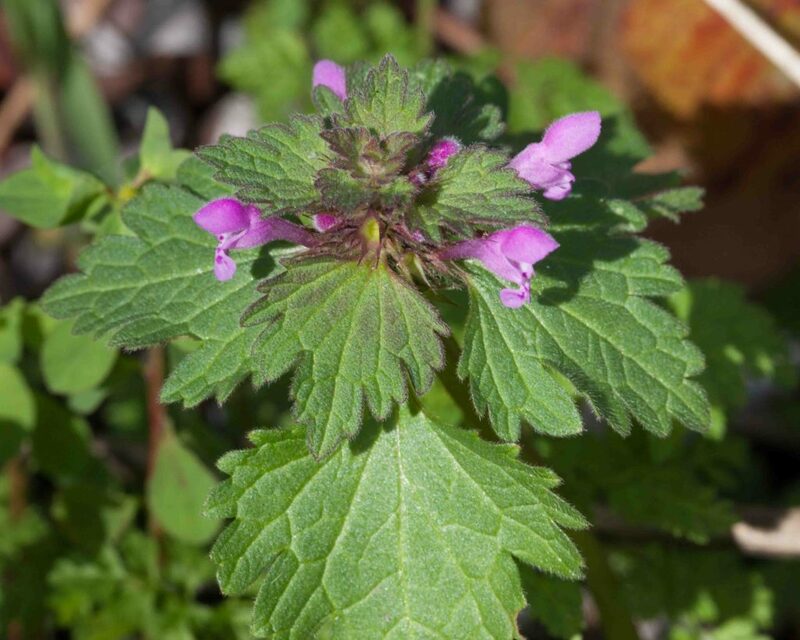 The plant is soft-hairy and ill-smelling, conspicuously glandular in its upper parts. 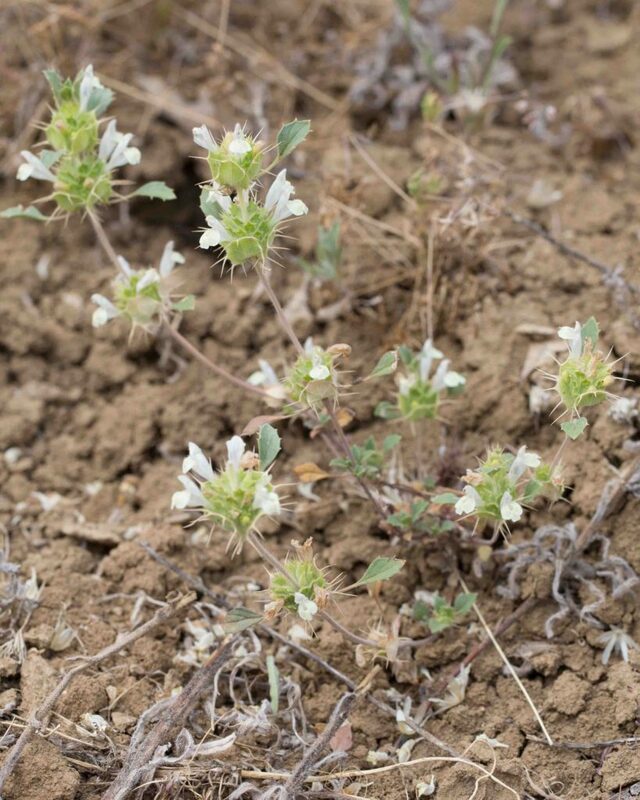 Like the very similar Santa Clara Thornmint (Acanthomintha lanceoata), this is found on dry slopes in the south and southeast of the county. 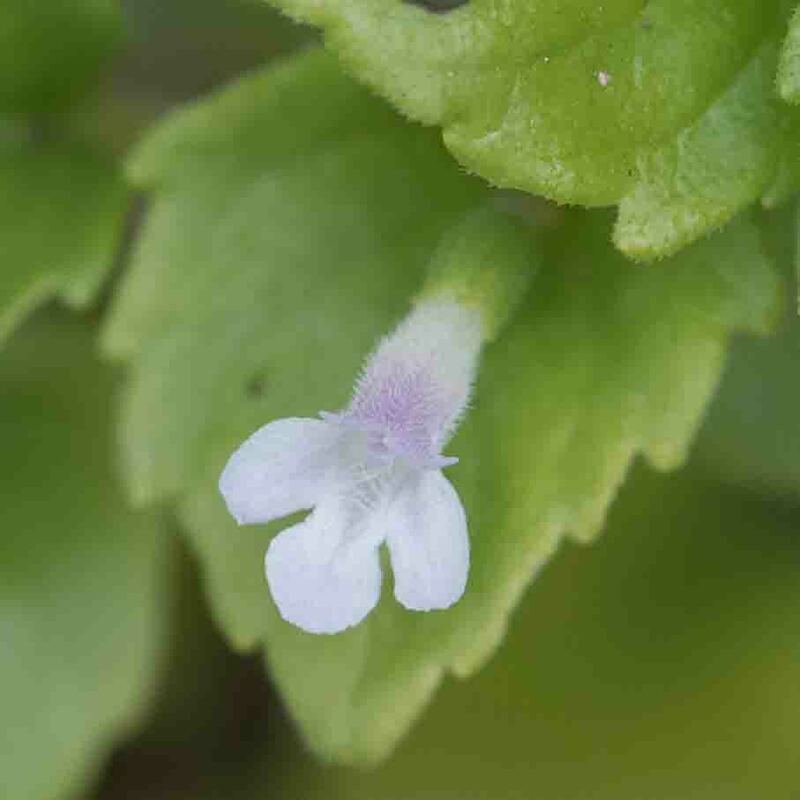 In this species, the upper lip is erect and barely hooded. 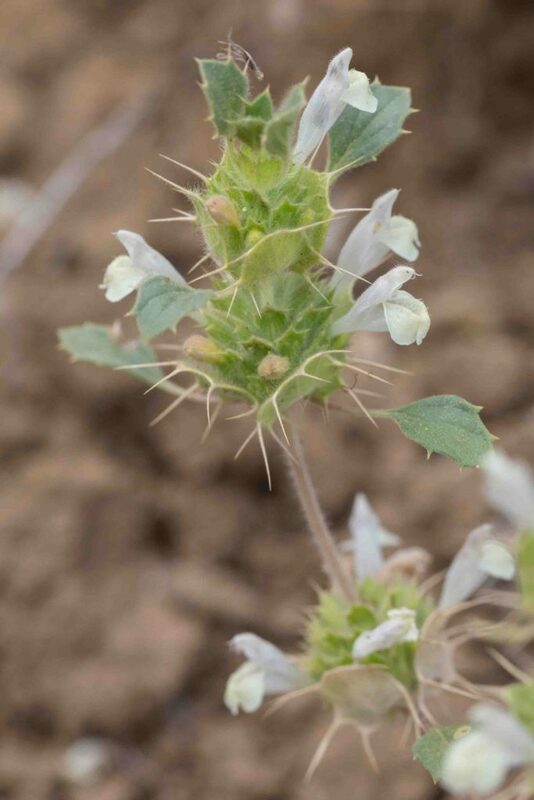 Anthers are densely woolly and the style is glabrous (the reverse of Santa Clara Thornmint). 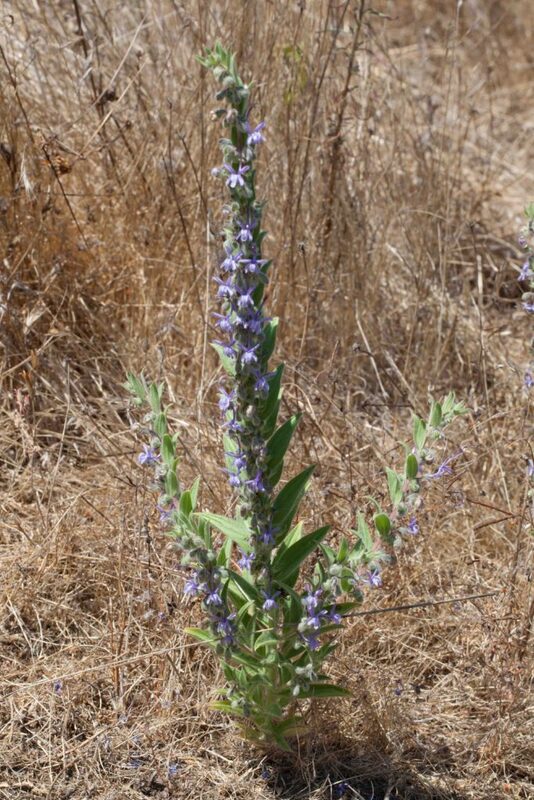 The plant is more or less glabrous and only inconspicuously glandular. 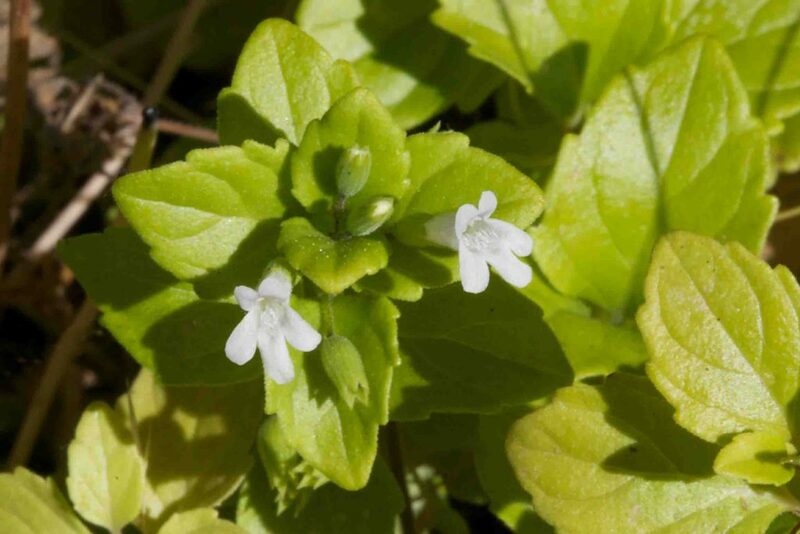 A common but easily overlooked plant, this has delicate flowers which are pure white, generally with a pale lavender upper lip. 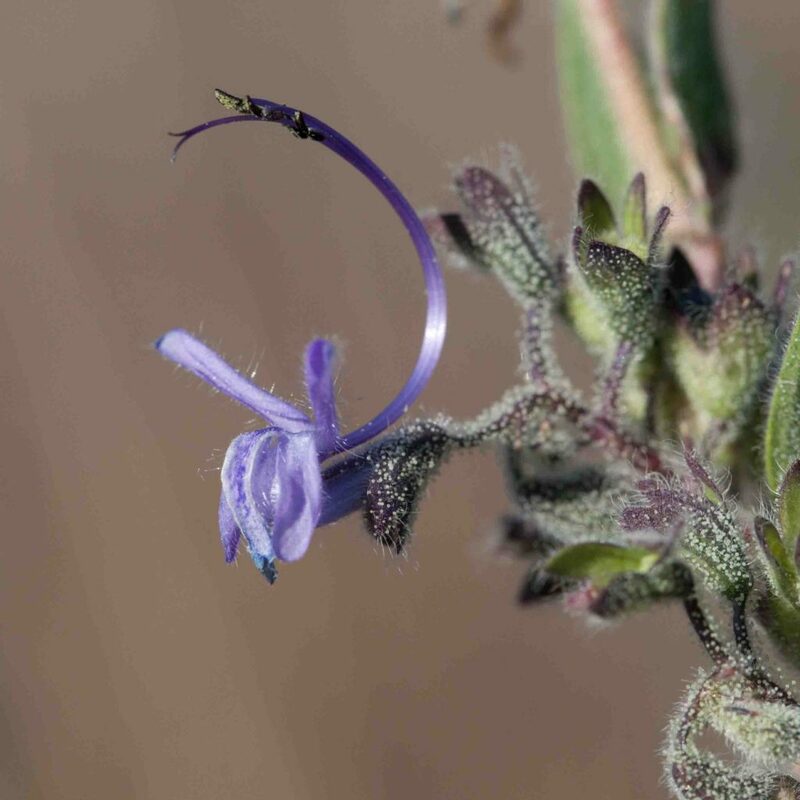 The flower, especially its throat, is surprisingly hairy when examined closely. 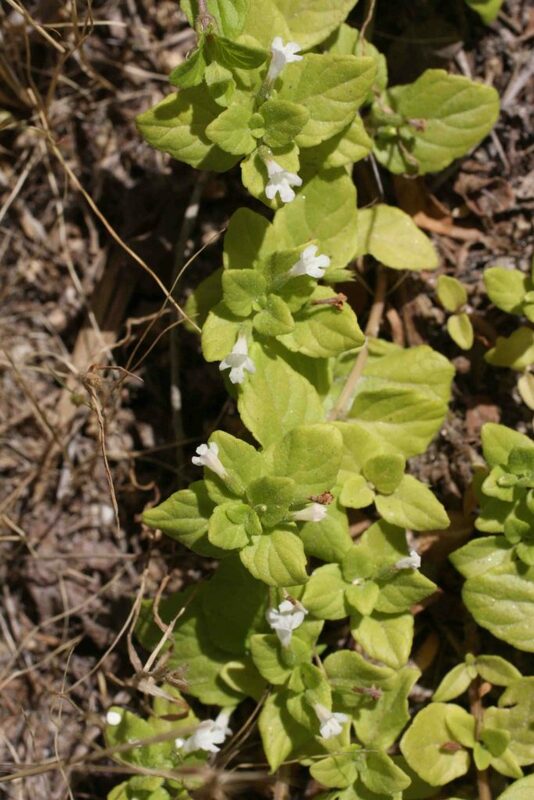 Leaves are ovate with rounded toothed margins and a delightful fresh minty smell. 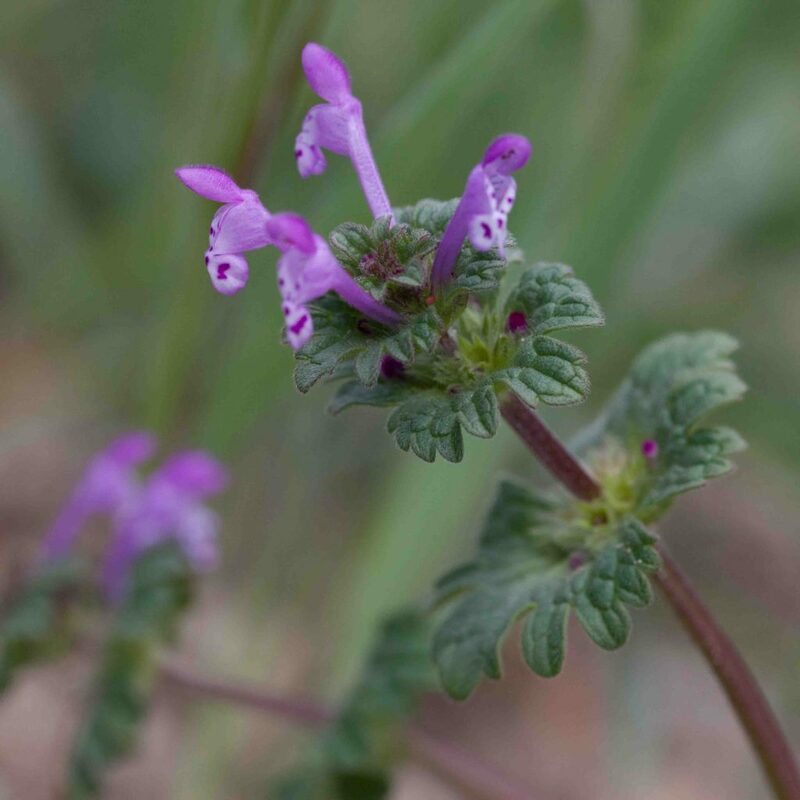 Generally found in early spring, this has unusual upright, erect, red-purple tubular flowers that, if one overlooks their coloring, do bring to mind the neck and head of a giraffe. 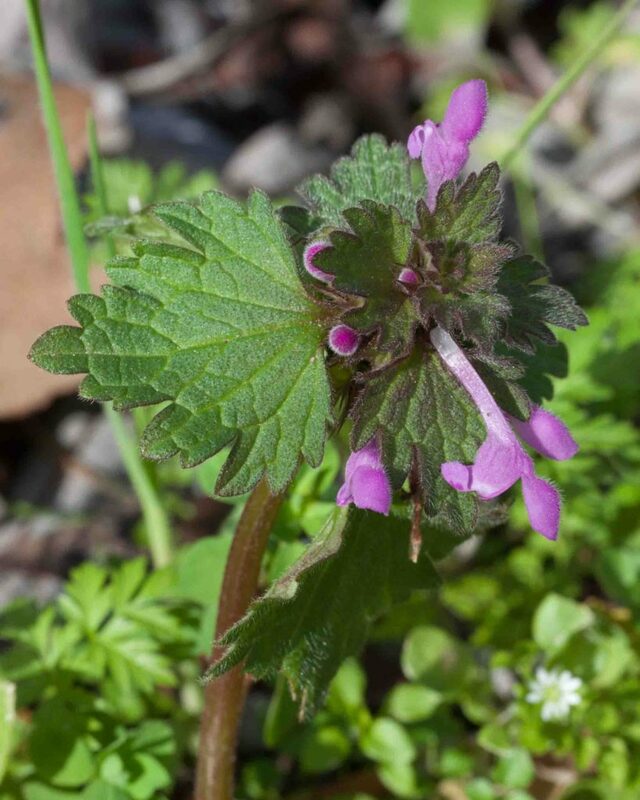 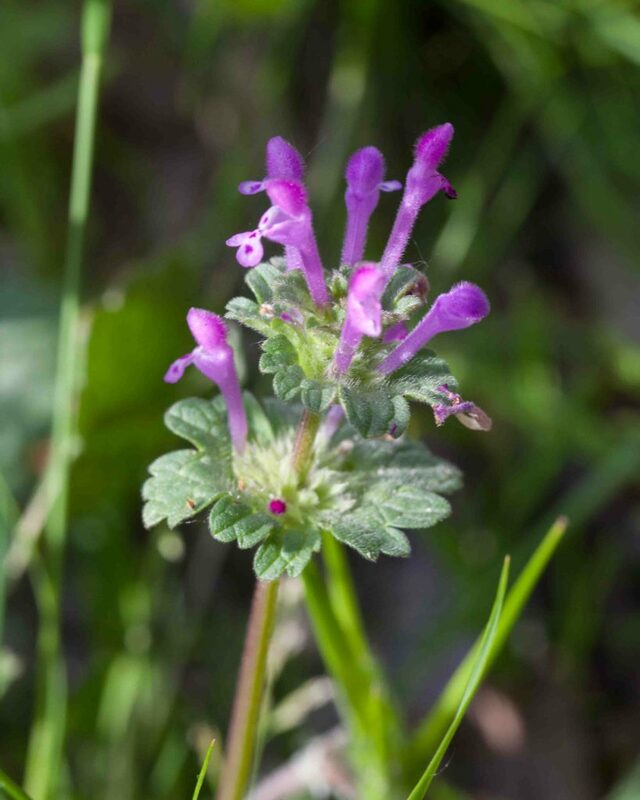 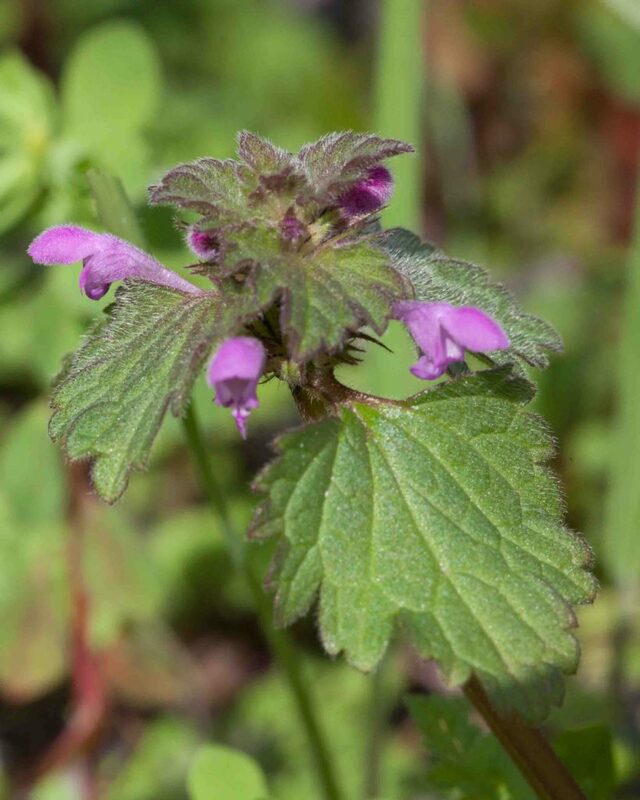 Flowers and leaves are in whorls, the leaves completely surrounding the stem (unlike the related Red Henbit (Lamium purpureum). 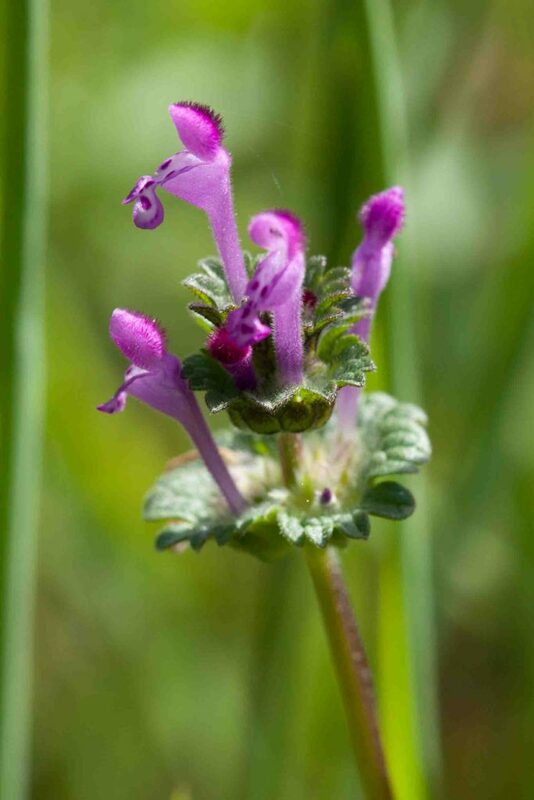 Unlike the related and much more common Giraffe Head (Lamium amplexicaule), the tubular flowers grow more or less horizontally and leaves are larger, with more pronounced lobes and a distinct petiole. 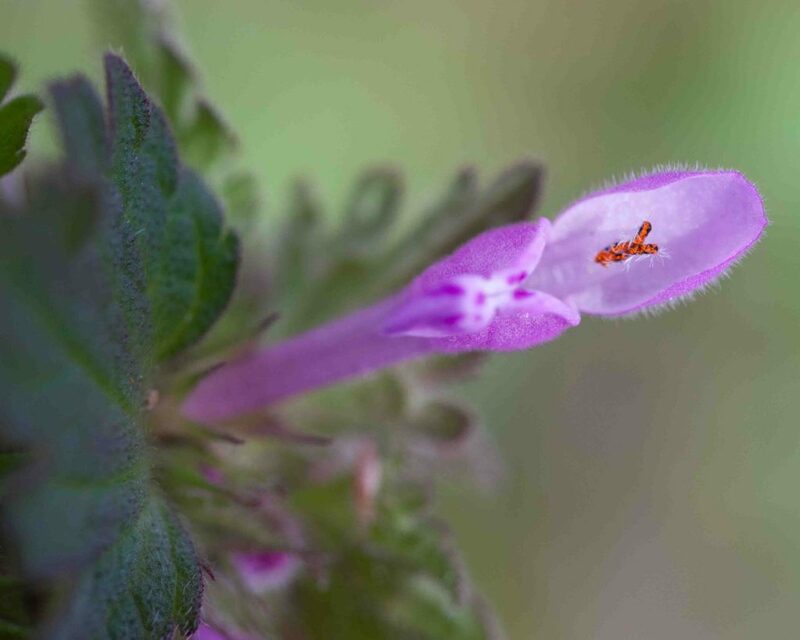 The flowers have beautiful orange, Y-shaped stamens. 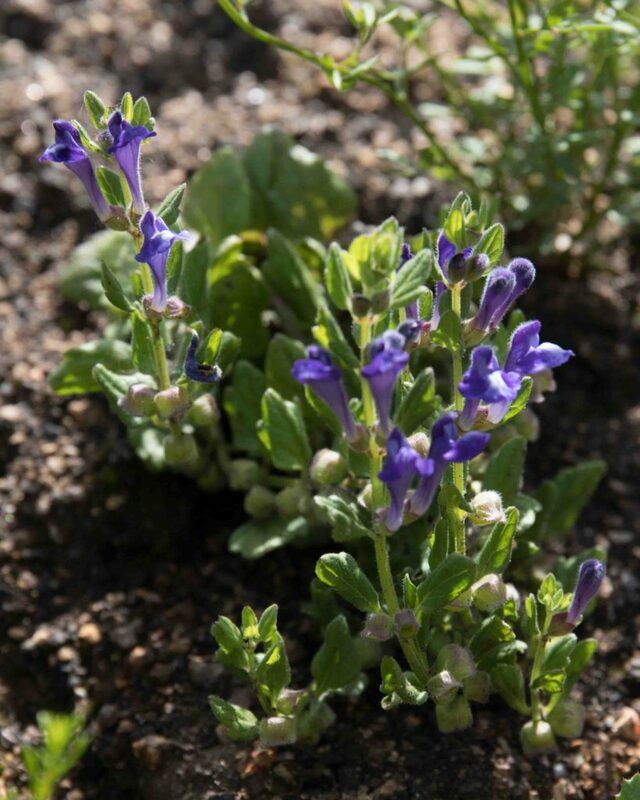 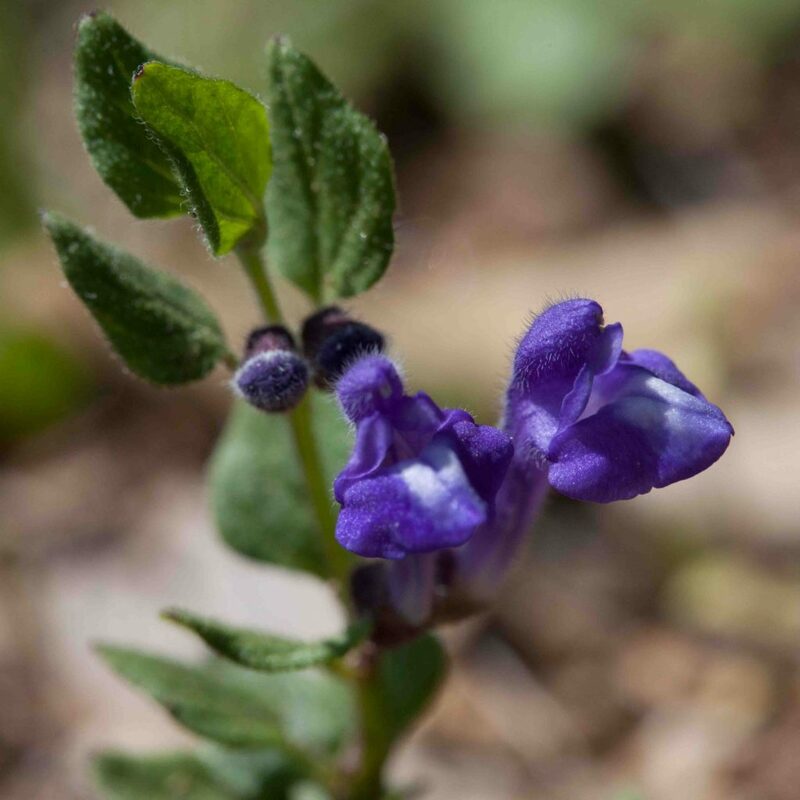 A small, low-growing plant, this has intense dark bluish-purple flowers whose shape are reminiscent of the skullcaps worn by French revolutionaries. 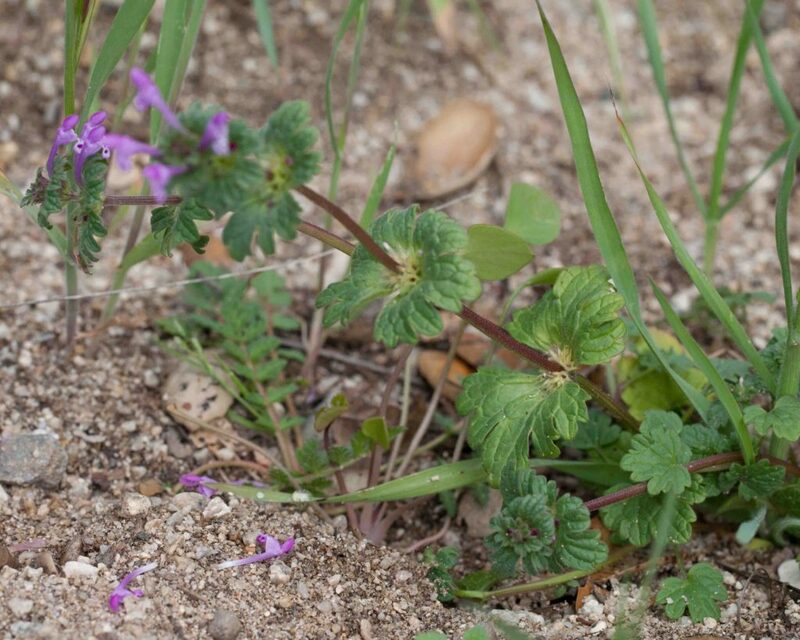 Leaves are < 2 cm long and thinly hairy on both surfaces . 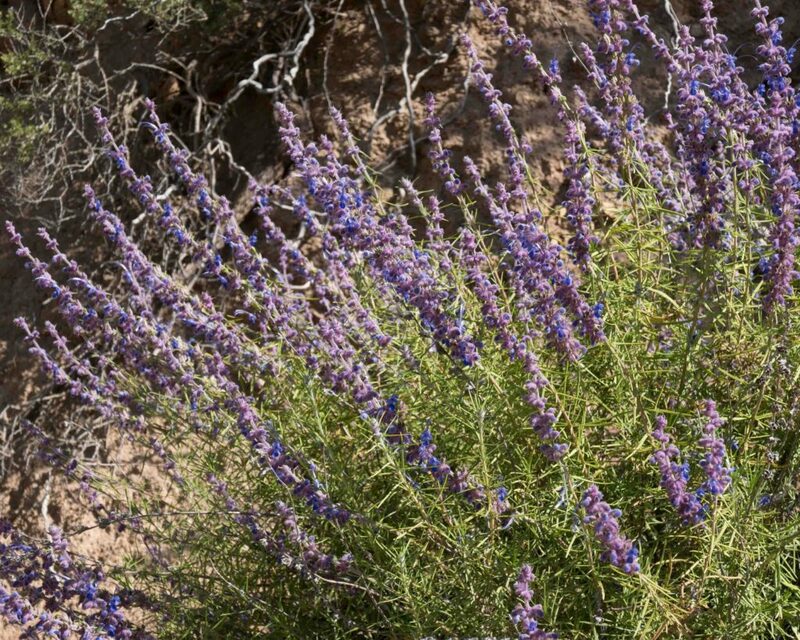 A medium-sized shrub with flowers borne on long spikes. 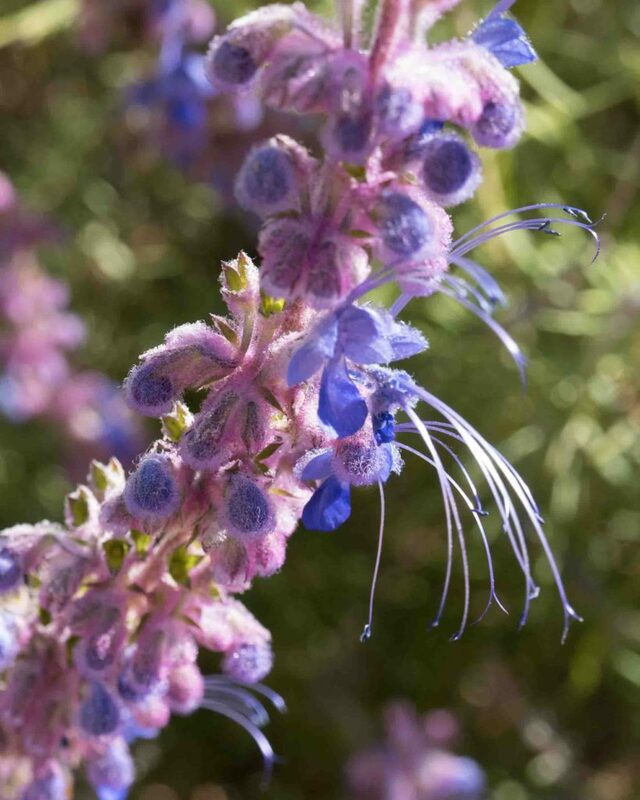 The individual flowers are exceptionally beautiful with a rich blue or pink calyx and blue-purple petals with extraordinarily long exserted stamens. 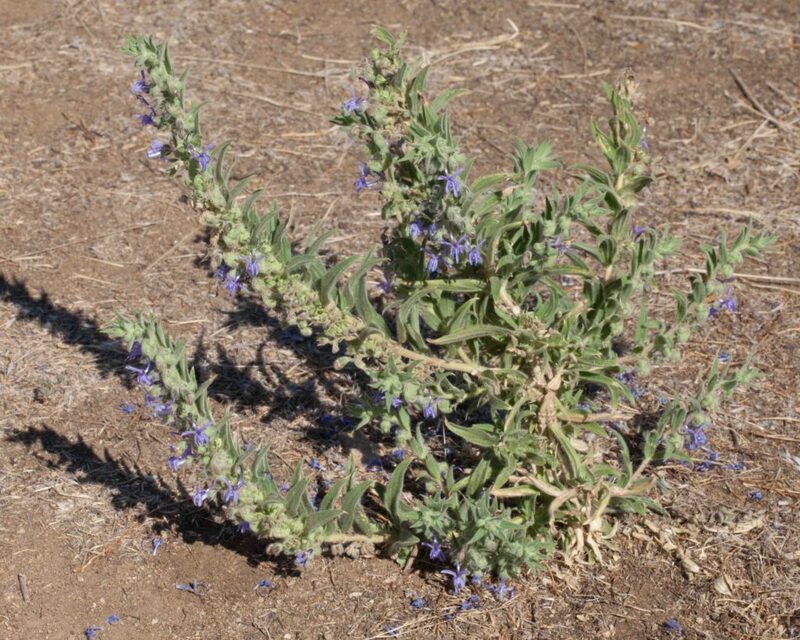 Leaves are lance-linear, green above and woolly below with long, tangled hairs. 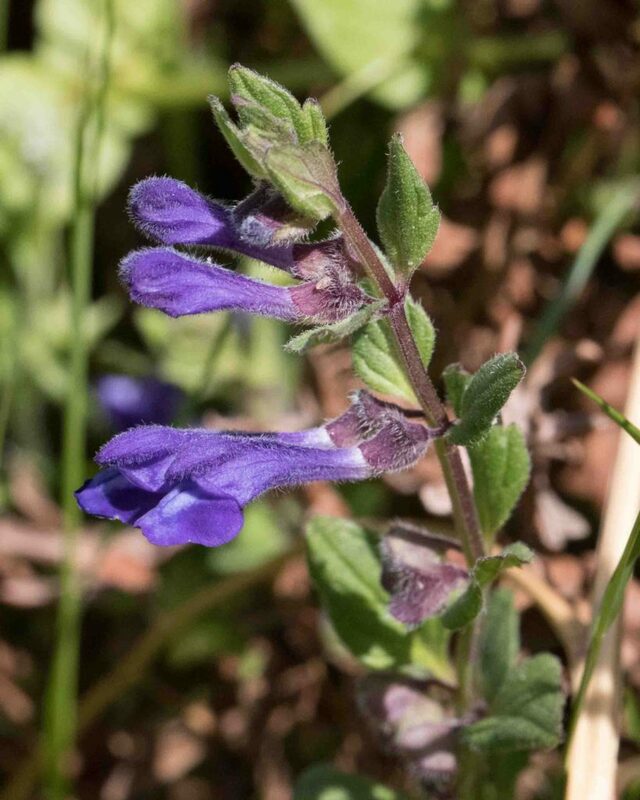 Some fine examples will be found alongside the Tassajara Road as one climbs up toward Chew’s Ridge. 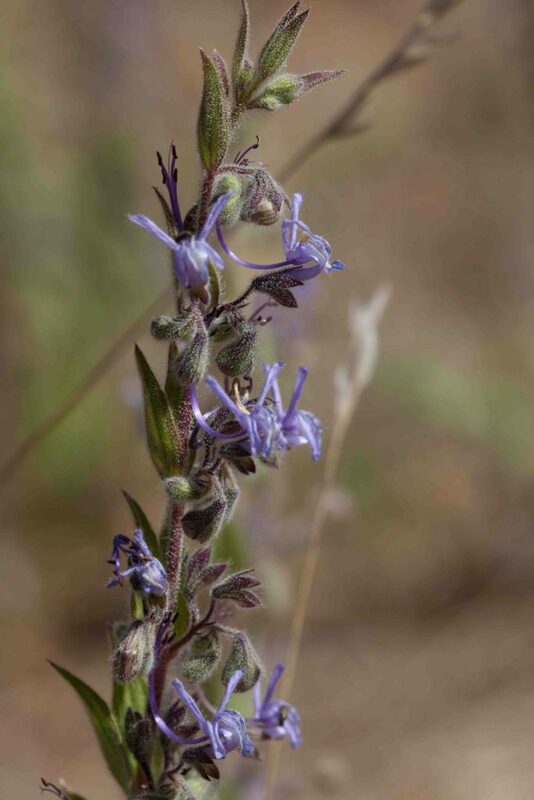 Much smaller and less striking than the related Woolly Blue-curls, this has smaller but distinctive bluish-purple flowers with strongly curved and exserted, fused stamens and pistils extending from the U-shaped flower tube. 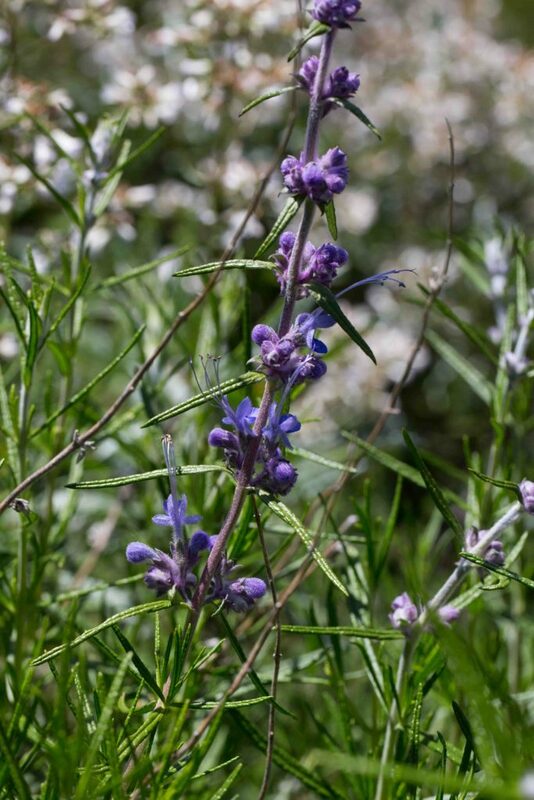 The foliage are exceptionally glandular, the glands containing a volatile oil that releases a strong vinegary aroma on warm late-summer days, especially when touched but even when not. 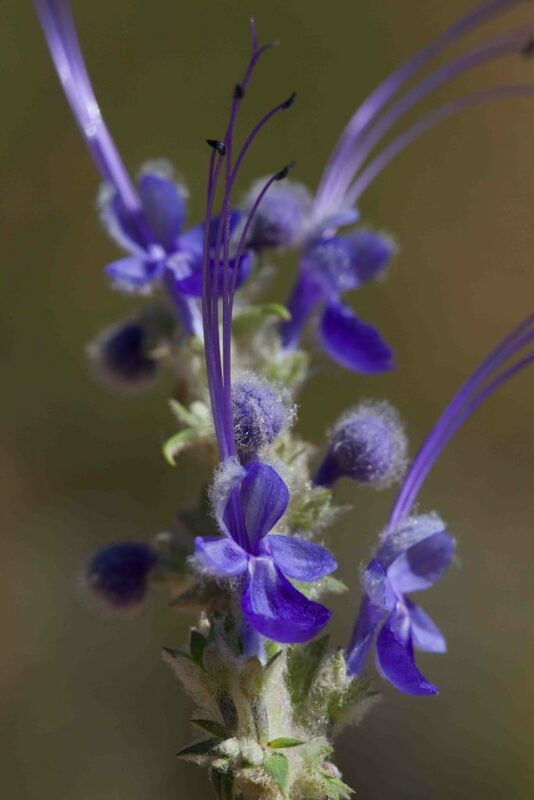 The cultivated Rosemary, another member of the Mint family, has smaller but surprisingly similar-looking flowers.